Facebook is the most popular social networking site around these days. Millions of people spend hours of their time adding content to Facebook, playing games, and keeping up with their friends and loved ones. If you are addicted to Facebook, you may as well invest in a Facebook client that could feed your addictions more effectively. 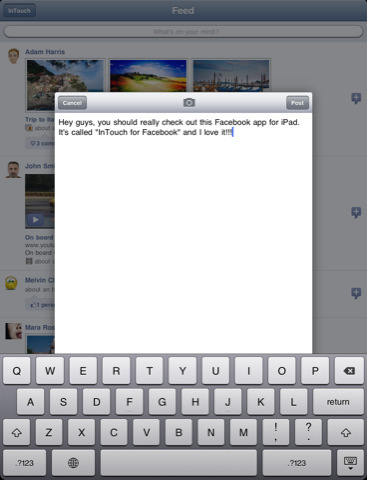 InTouch for Facebook is such a client. 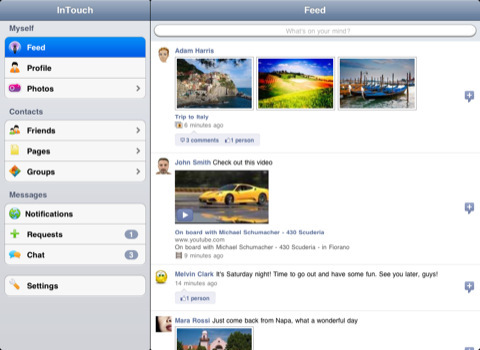 InTouch for Facebook is a clean Facebook client that lets you do everything you get to do on Facebook.com. It allows you to post to yours and your friends’ walls. 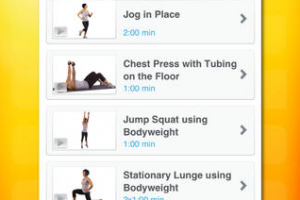 You can also browse pages and groups and keep up with photos, videos, and links. Photos can be posted to your wall or albums too. InTouch for Facebook also lets you watch Facebook videos on your tablet. Friend requests can be accessed on it too. InTouch for Facebook is super clean and quite fast. It does not crash, which is huge. It is the perfect choice for those of you who use Facebook heavily on a daily basis.